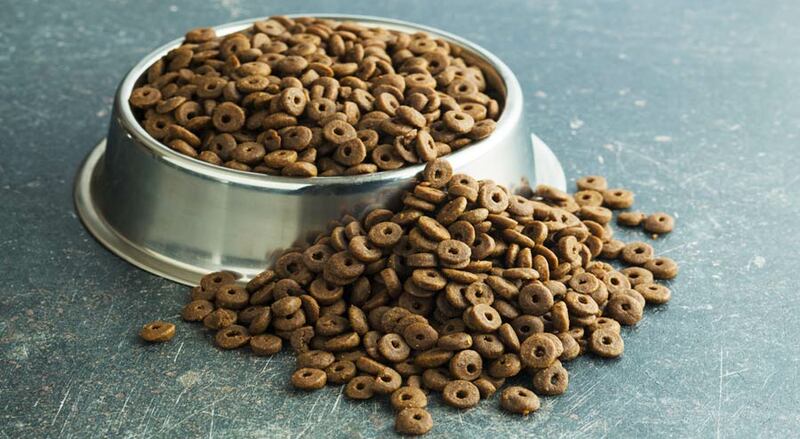 As a pet parent what would be the highest quality, healthiest, and safest dog food you could name? You should know this because you always want the best for your furry child, right? That means that you should know a lot about the food you’re giving to your pet pooch. Choosing a particular dog food brand from among the rest of the available dog brands on the market today is important for responsible pet parents. After all, you want to make sure Fido gets the best nutrition two times a day for years on end. Yet, the hunt for the best dog food brand can be overwhelming because of the countless brands available that all claims to be the best of the best. We made the task easier by writing a review about Merrick dog food brand to include company background, ingredients used, food line, reviews from the general public, and coupons. It’s up to you then if Merrick is the one to go for after reading this article. It was in Amarillo, Texas in 1988 that Garth Merrick first started Merrick Pet Care, Inc. The family-owned and managed company was acquired by Nestle-Purina in 2015 although Merrick assures loyal customers of the continuing legacy of processing high-quality, safe, and healthy dog foods. However, the change of ownership has its downside with people reports about changes in formulas. Some have switched to other brands after being disappointed with the results of the new formula changes. 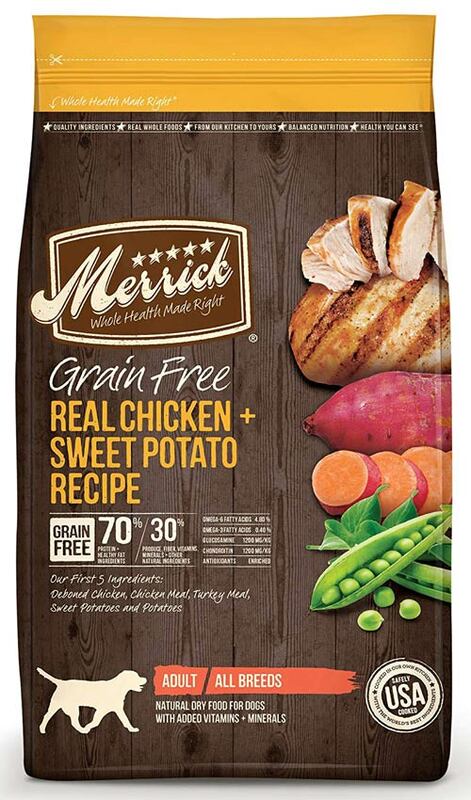 Specialty pet stores, online food retailers, major pet stores, and local chains all carry the Merrick dog food brand. These individual retailers sometimes offer coupons to customers. Another way to get coupons is on the official website of the company. 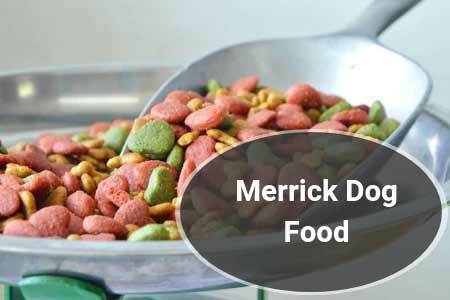 The 125 varied dog food options offered by Merrick make the brand one of the most generous. The food products are classified into four divisions along with a singular dog treats line. The initial ingredient found in the Classic recipes uses real meat bolstered with additions of vegetables, whole grains, and fresh fruits. The main ingredient in the Grain-free recipes is real deboned meat along with grain-free carbs and real whole foods. Dogs that have extra sensitive tummies can still get their complete nourishment with the Limited Ingredients Diets line. All of these food categories are available dry or canned. Treats are important dog food too. They may not contain the complete nutrition compared to meal recipes, but they are one way of establishing rapport with a beloved pet. Training the pooch also becomes easier with the help of treats. Merrick offers a wide variety of treats because they also believe in its importance. The Grain-free Puppy Recipe, the Backcountry Puppy Recipe, and the Classic Puppy Recipe are the best dog food options when you want your pup to develop and grow healthily. Except for dogs having weight problems or puppies, almost all Merrick dog food products ensure optimum health maintenance. If your dog has a weight problem disposition or is already overweight, the Grain-free Healthy Weight product from Merrick will help in taking off those unwanted pounds. Dogs with sensitive tummies or prone to allergies get the right nutrition without triggering symptom attacks with the help from the Limited Ingredient Diet and Grain-free products from Merrick. There will be fewer ingredients your dog will not like with the Limited Ingredient Diet line from Merrick. The limited ingredients may work well for picky eaters. The Backcountry food line is solidly packed with protein content, making it the best food option for working or active dogs. The toy or smaller breed dogs have their own tailor-made diet with the Classic Small Breed food line from Merrick. The inclusion of brown rice in this recipe is good. The highfiber content of brown rice and as a source of carbohydrate provides dogs with good nutrition to keep them thriving healthily. Dogs that have highly-sensitive digestion or prone to allergies will not likely have any reactions with brown rice compared to ingredients that contain gluten. Raw chunks that are freeze-dried and dry kibbles are mixed together with the “raw-infused” dog food product from Merrick. This food recipe is a great option for pet owners who want their dogs to have mixed feeds of both raw chunks and dry kibble. However, this particular line is great only for very active dogs because of the high protein (38%) levels. Sweet potatoes provide the bulk of carbohydrates which is a pretty good choice. It is also grain-free which is suitable for dogs with sensitive stomachs. Other health-giving ingredients found in this recipe include omega-3 and omega-6 fatty acids. The addition of Chondroitin and glucosamine is another great feature. The opinions of people and online sites are also important things to read for you to find out the merits and demerits of a product. Merrick may sound good to others but not so good to some. Here are some reviews coming from pet people, online sites, and dog food experts. Merrick is highly recommended by Dog Food Guru as an all-natural dog food that is simple yet provides innovative food selections to suit all types and kinds of dog breeds. The site also likes the fact that the dog food products contain only top-quality ingredients but free from artificial preservatives, flavors, and colors. They gave Merrick a total rating of 8.8 out of a perfect score of 10. The downsides to the product were not based on quality but on price. Judging a dog food brand is not as easy as judging meals made for humans. We can't ask our dog if it likes the formula or if it does, in fact, have a slight afterthought of sweet potato. What we must do it try and observe. If the dog seems happy and active, the food is good. If the dog becomes withdrawn or starts vomiting, we know that something bad is in the food. Because of this lack of communication, it is best to collect as much data as possible before you make your dog food purchase, taking in info from other pet owners who have tried the food on their dog. When assessing customer reviews, you should keep in mind that online reviewing has a slight negative bias. If someone has had a bad experience, always take note what breed is their dog, which specific product it ate, and if it has some previous medical issues. If your dog is in the same situation, that would be a cause for concern. There are many good sides when it comes to Merrick dog food, and most costumers have noticed that. The simplistic formula means that it is a good alternative to raw food while being significantly cheaper than making your dog ground meat from scratch. While most buyers realized that Merrick products make their dogs healthier and give them more energy, not many people noticed that their products are high-end variants of hypoallergenic food. Limited ingredients mean that you will never feed your dog chicken unintentionally, even though you wanted to feed them beef. Finally, the high quality of this food means that there is a lot of vitamins and minerals in the formula, making it an excellent choice for everyday use. 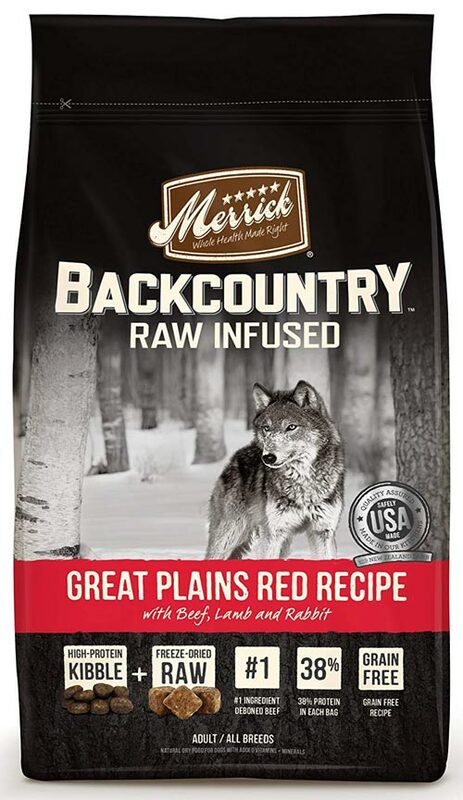 It is possible that Merrick was producing with a small margin for a long while as their ingredients are almost as expensive as buying human food, while the end product is competitive with the price we would expect from premium dog food. Because of this fact it is possible that they will opt to import ingredients from abroad as to cut costs. This is not certain to lower the quality of the end product, but many customers report of being doubtful. This can't be a negative yet, as the change has not even happened, but is something that we may want to be careful in the future and observe reviews to know if our canine companion might be at any risk that we are not aware of. As this is dog food, it is quite possible that it will pass the FDA standard, but wouldn’t be as good as it is today. If you have opted for Merrick, you can be sure that you are buying high-quality dog food. Because you don't need to worry about artificial colorings and additives, you can just focus on the natural ingredients that are inside. Before you make your choice, always consult your vet in case your dog has some allergies or other conditions that will cause them to reject any type of food. Once you know that you can be quite safe feeding your dog Merrick. Finally, if you have multiple dogs, you can always collect coupons and try to buy in bulk, ensuring the balance between your dog’s quality diet and the stability of your home budget remains uncompromised. What’s our rating for Merrick? If we base it on ingredients and opinions from experts, we can say that Merrick seems to be a top choice for most dogs. However, we only review the information we get from the official website of Merrick. We have not tested the food on any dogs and only rely on the honesty and integrity of the information provided by the company. The customer complaints about Merrick vary. Some are good while some are very bad. 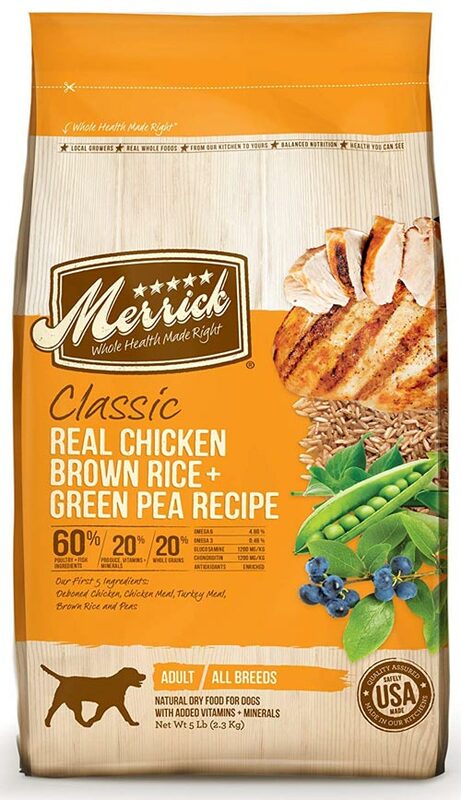 This makes us conclude that Merrick might be the right dog food for some dogs but may not work for other dogs. 6.6 What to Focus on?